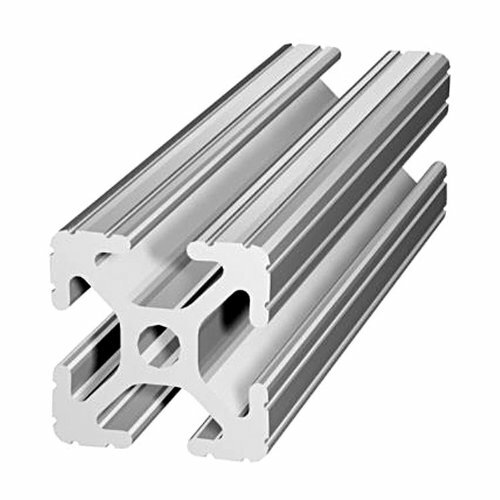 80/20 Inc., 1010, 10 Series, 1" x 1" T-Slotted Extrusion x 24"
80/20 Inc., 10 SERIES 1" X 1" T-SLOTTED ALUMINUM EXTRUSION. This adjustable, modular framing material, assembled with simple hand tools, is a perfect solution for custom machine frames, guarding, enclosures, displays, workstations, prototyping, and beyond. If you have any questions about this product by 80/20 Inc, contact us by completing and submitting the form below. If you are looking for a specif part number, please include it with your message. 80/20 Inc., 9010, Quick Frame 1"X1" Square Right Angle Double Flanged Tube X 72"
Manplow PROEGE32 Replacement EZ Glide Edge for PRO32, 32"
80/20 Inc., 1030, 10 Series, 1" x 3" T-Slotted Extrusion x 97"
80/20 Inc., 1020, 10 Series, 1" x 2" T-Slotted Extrusion x 97"